We hear that Yesterday Roger Acherley, Esq; Author of the Book, call’d, The Britannic Constitution, presented the same to his Majesty ; which his Majesty received very graciously. – Daily Journal, 15 Feb 1727. Since Roger Atcherley (or Acherley as his surname was usually written) presented a copy of The Britannic Constitution to the reigning Monarch in 1727, several members of the Atcherley family have had their writings published as books. Some have also been the subject of books written by others. World Book Night seems an appropriate time to investigate the subject of Atcherleys in print, and also to find out which books some of them chose to read. Roger Acherley [ ] (1662-1740) was not only the first published author in the family, but also the most prolific with no less than four books to his name. His first, The Britannic Constitution (published in 1727), was also (according to the Oxford Dictionary of National Biography) his most important. Its full title was The Britannic Constitution: Or, the Fundamental Form of Government in Britain. Demonstrating, the Original Contract Entered Into by King and People. This work was a defence of the British constitution established by the “Glorious Revolution” of 1688, which saw the end of the monarch’s absolute power and the beginnings of modern parliamentary democracy. 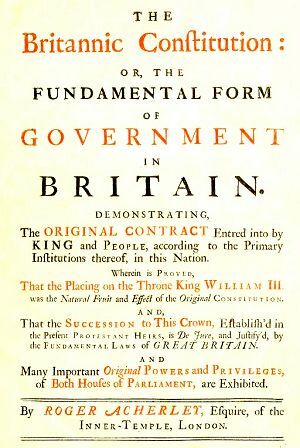 Roger returned to this subject in his next book, published in 1731 – Free Parliaments: Or, an Argument on Their Constitution; Proving Some of Their Powers to Be Independent – and his last book, Reasons for Uniformity in the State, a supplement to the Britannic Constitution, published posthumously in 1741. A lawyer of the Inner Temple, Roger also wrote The Jurisdiction of the Chancery as a Court of Equity Researched, and the Traditional Obscurity of Its Commencement Cleared, which was published in 1736. For more on Roger, see The constitution, the monarchy, and Counsellor Roger Acherley. In 1773 there appeared a pamphlet entitled A Drapier’s Address to the Good People of England, Upon the Causes of the Present Dearness of Provisions, &c. Although the author signed himself only as “A. D.” (A Drapier), the work is attributed to the Reverend James Atcherley [ ] (1730-1804). In a book devoted to Dr. Samuel Butler, who succeeded James Atcherley as headmaster of Shrewsbury School, Dr. Butler’s grandson (also named Samuel) wrote that James was “a man of good natural abilities, and in 1773 published a pamphlet entitled ‘A Drapier’s Address to the Good People of England’ which is not ill-written, and shows the writer to have been an advocate of free trade, when free-traders were still scarce.” (Samuel Butler (1896), The Life and Letters of Dr. Samuel Butler. Volume I, chapter II, page 21.) For more on James, see The Rev James Atcherley, Head Master of Shrewsbury. David Francis Atcherley [ ], of Marton, (1818-1887; formerly David Francis Jones, a grandnephew of Richard Atcherley of Marton – see Richard Atcherley and his hopes for posterity) is the next Atcherley on our ‘reading list’ as he wrote a poem in 1861, about the French Emperor Napoleon: The Exile of Saint Helena. The writer of the following pages has endeavoured to supply a want which he believes to be much felt at the present day. Adulteration is practised to an incredible extent, and it is highly desirable that every one should have at at hand a ready means of distinguishing between a genuine and a sophisticated article. This little work is addressed, therefore, to three classes of readers—the consumer, the dealer, and the professional analyst. A world away from Charlotte’s novel was M.O. Modus Operandi in Criminal Investigation and Detection, a pamphlet first published in 1913. 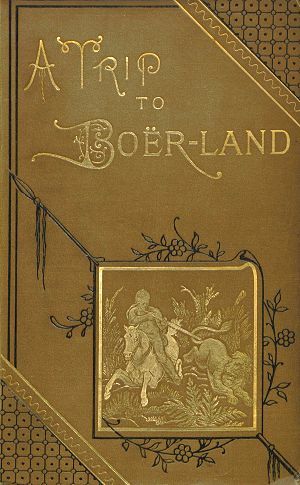 Its author was Major Llewellyn William Atcherley [ ] (1871-1954), nephew of the above-mentioned David Francis Atcherley. Llewellyn was at the time Chief Constable of the West Riding of Yorkshire Constabulary, and his pioneering work set out a system for recording information on the methods used by criminals to commit crimes, and sharing that information between different police forces. His book was reprinted and later revised, and his system was adopted and enhanced by police forces in Britain, the USA and elsewhere. Several fictional Atcherleys have appeared in various publications, including an epic poem entitled, appropriately enough, Atcherley. Written by John William Fletcher, it appears in an anthology published in 1857: Cloud-Shadows; Atcherley; and Miscellaneous Poems. The only real-life Atcherleys to form the subject of a book were “flying twins” Richard Llewellyn Roger Atcherley [ ] (1904-1970) and David Francis William Atcherley [ ] (1904-1952), sons of Modus Operandi author Llewellyn William Atcherley. 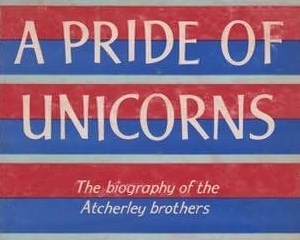 A Pride Of Unicorns: The Biography of Richard and David Atcherley of the R. A. F., published in 1960, was written by John Pudney. Having read this volume myself I can thoroughly recommend it. Roger Acherley, discussed above as author of The Britannic Constitution and other works, also owned and read numerous books. In part this was because of his profession as a lawyer, which meant that numerous legal volumes were required reading. However, the catalogue of his book collection produced after his death in 1740 (extracts from which were included in a notice published in the Daily Post of 18 Oct 1740) included not only a great many law books, but also titles such as Laurence Echard’s History of England, four volumes of Francis Bacon‘s works, William Somner‘s Saxon Dictionary (Dictionarium Saxonico-Latino-Anglicum), and Eleazar Albin‘s A Natural History of Birds and The Natural History of Spiders and other Curious Insects. In addition, Ancestry’s U.K. and U.S. Directories, 1680-1830 record set shows him subscribing (as Roger Atcherly, Roger Acherly and Roger Acherley) to The History of the Saracens (Vol. 2), by Simon Ockley (1718); Royal Genealogies: or, the Genealogical Tables of Emperors, Kings, and Princes, from Adam to these times, by James Anderson (1732); and The History of England, during the reigns of the Royal House of Stuart, by John Oldmixon (1730). The same Ancestry record set shows that both John Atcherley [ ] (1739-1803) of Moortown and the above-mentioned Reverend James Atcherley (1730-1804) subscribed to The History and Antiquities of Shrewsbury: From its first Foundation to the present Time, by Thomas Phillips (1779), while the Rev. Atcherley also subscribed to A Collection of Sermons, Preached Occasionally on Various Subjects, by George Harvest, M.A. (1754) and Miscellanea analytica de aequationibus algebraicis, et curvarum proprietatibus, by Edward Waring (1762). Richard Atcherley, esq. [ ], subscribed to the 1815 publication The History of Oswestry, by William Price. There were two Richard Atcherleys alive at the time, but the addition of the esquire after the name indicates that it was Richard Atcherley of Marton (1763 – 1834) who was taking an interest in local history. Military rather than local history seems to have been the interest of Lieutenant James Atcherley [ ]. An officer of the Worcestershire Militia, in 1814 he had volunteered to be part of the First Provisional Battalion of Militia under the Marquess of Buckingham, which joined the British Army in France under the Marquess (later Duke) of Wellington. His appearance in the list of subscribers to The Aegis of England; or The Triumphs of the late War by Maurice Evans, published in 1817, is therefore perhaps not surprising. For more on James, see The mystery of the missing Militia man. 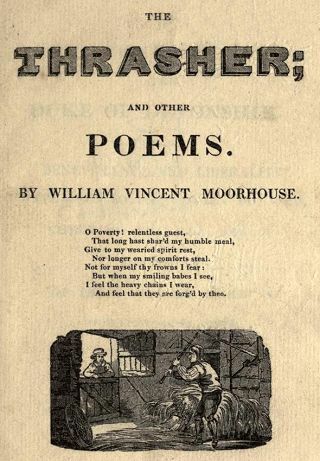 Amongst the many out-of-copyright and public domain volumes available online at the Internet Archive is The Thrasher; and other poems, by William Vincent Moorhouse, published in 1828. The list of subscribers appearing within includes Mr T C Atcherley of Astley Abbots (Thomas Cureton Atcherley [ ], 1804 – 1874) and Mr J Atcherley of Bridgnorth (probably James Rennell Atcherley) [ ]. Weighty legal tomes were no doubt the regular reading material of Mr Serjeant Atcherley (as Serjeant-at-Law David Francis Atcherley [ ] was known professionally). However he evidently enjoyed reading a variety of other works. His name appears in the list of subscribers to the 1838 publication, Three Comedies (translated from the German of G E Lessing) by the Rev. J J Holroyd. 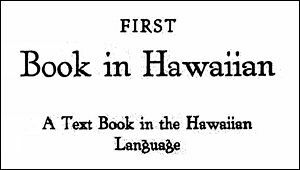 His subscription was for four copies, suggesting that a few friends or family members were to receive this volume as gifts. He was also in the lists of those subscribing to The poetical works of Richard Llwyd, the Bard of Snowdon (published in 1837), The Odes of Horace, translated by John Scriven and published in 1843, and to The Silurian System, a geological treatise by Roderick Impey Murchison, the first part of which was published in 1839. Bringing this short round-up of Atcherley reading material to a close, The Misses Atcherley of Rhyl (Emma Atcherley Atcherley [ ], Elizabeth Hope Atcherley [ ] and Anne Eleanor Atcherley [ ], sisters of the David Francis Atcherley mentioned above) subscribed to Y Cwtta cyfarwydd: “The chronicle written by the famous clarke, Peter Roberts,” notary public, for 1607-1646 published in 1883.